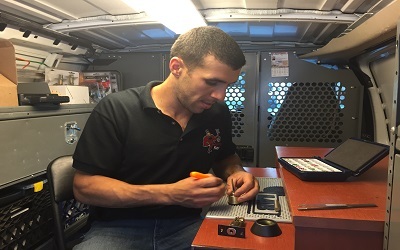 If you lost your house keys and you wish re-keying your locks, or if you are worried about the security system of your business or home and want to change the locks, Quick Key Locksmith’s experts are ready to service you in the surrounding East Bay Area. Our re-keying services in Danville, CA can help you ensure the safety of your home or business for less money than you might think. There are many reasons why you should opt for our services. In San Ramon, CA, re-key locksmith services are a great way to take advantage of a service that will protect you while using the fewest resources possible. Not only do you save money, but you also save materials associated with the building, shipping, and replacing of the entire door locking system. Instead of replacing your locks, Quick Key Locksmith can easily rekey or change your existing locks. Our experts will offer you cost-effective rekeying services for your businesses and home. Our Walnut Creek locksmith experts will assist you in a hassle-free lightening of your load. For instance, we can easily adjust all of your different locks in order for them to end up functioning on a master key system. These systems have specific keys for specific locks, as well as one master key for operating all of the remaining locks in your business or home. Last but not the least, our Walnut Creek locksmiths are not only licensed and bonded, but insured as well in order to ensure consumer protection. Of course, there are many other benefits to calling us to provide re-keying service in Concord, CA, contact us to find out how we can help you. For emergency services, call us any time as we are always available 24/7.